I think that seagulls and dolphins recognise us and play with us..
Everyone plays with seagulls, it is a tradition to feed them during the trip to Mount Athos. 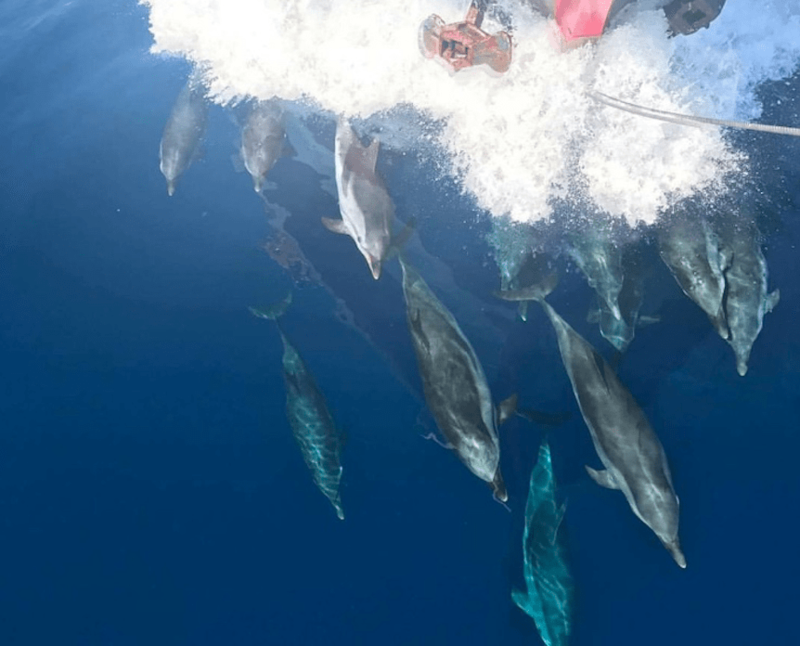 Dolphins jumping in-front of the ship and surprises everyone. Athos Sea Cruises take care of everything so you can kick back and enjoy the best day of your holiday in Halkidiki.